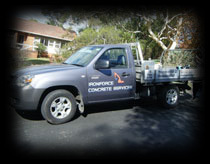 Our experience spans a wide variety of residential and commercial excavating, building and concreting projects. 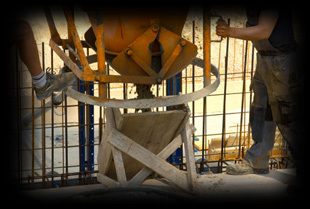 From excavating projects which involve restricted passage access (with as little as 900mm clearance), to ones which call for the manufacture of complex “tilt-up” concrete panels and suspended slabs you can be assured we have the equipment, the experience and the technical “know-how” to deliver first class results, on time, every time. Information on projects in which Ironforce services were recently engaged is presented currently being updated. Please re-visit our site to obtain an update on the latest developments in this area. In the performance of our work, many Ironforce clients have been pleasantly surprised by the manner in which we take the issue of environmental responsibility seriously. We have a policy of utilising only late model, environmentally friendly equipment in our work, which is fully compliant with the highest European Union standards for pollution control and noise abatement. Environmental consciousness is something we believe is a shared responsibility for all, and consistent with these beliefs wherever possible we seek to recycle materials such as concrete and scrap metal to conserve resources. Construction sites are often inherently dirty and noisy places, so whether possible we seek to ensure work sites are kept as clean as circumstances permit, and disruptions to the neighbourhood are minimised. 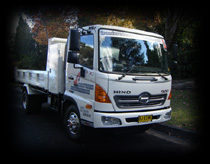 At all times we seek to limit off-site “run-off” pollution, in accordance with Local Council requirements and most importantly we seek to minimise noise levels associated with the use of machinery and power tools. 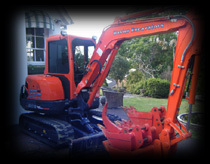 Ironforce operates only with late model excavators, trucks and construction equipment, for we consider that using up-to-date equipment appropriately matched to the needs of our clients is essential if our reliability, efficiency and quality standards are to be maintained.